Off the back of an acclaimed new album, On Dark Horses, songwriter and guitarist Emma Ruth Rundle brings her mix of heavy rock and molten Americana to The Cluny 2 on Wednesday 7th November. Having already gained praise from fans, critics and fellow musicians for her work as a member of post-metal outfit Red Sparrowes and Marriages, as well as her three previous solo records, On Dark Horses represented another step forward in Rundle’s growth. While there’s still plenty of dramatic, guitar-heavy arrangements that fall between Lynchian melodrama and winding, Earth-informed meditations, her songwriting has stepped forward to the centre of her work to powerful effect. The oblique narratives of songs like Races and You Don’t Have To Cry find her exploring a dark and atmospheric strain of country tradition, and stand out as some of her finest to date. 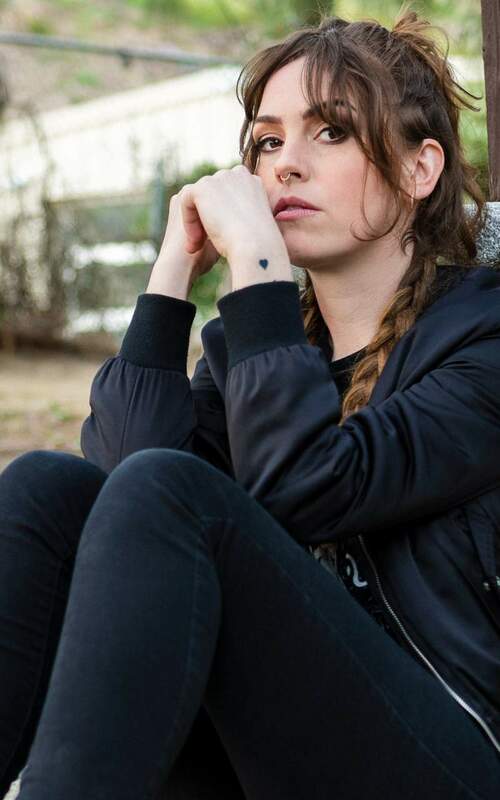 Joining Emma Ruth Rundle on her UK tour are fellow Sargent House act Jaye Jayle. With members of the band having collaborated with Emma Ruth Rundle previously, it’s a natural fit, and their dark mix of Southern rock with influences from Spacemen 3 and Suicide makes for an enthralling listen.